Injuries experienced by both professional and amateur sporting athletes are varied and can be debilitating. Sprains, tears and injuries are complex and may be prevented and assisted with regular chiropractic care. At the cutting edge of chiropractic in elite sport is Jean-Pierre Meersseman, the chiropractor responsible for MilanLab, which looks after AC Milan the most successful soccer club in the world. Meersseman "instill(ed) a chiropractic philosophy early on.Structural problems in the body can bring about injuries in just the same way that a bad tackle can and I wanted the players and management to realise this. Through performing chiropractic checks, I was able to identify structural problems and address them, which helped reduce injuries." Subluxations in the spine, pelvis and extremity joints can shorten or tighten muscles, unbalance the body and lead to injuries. Regular chiropractic treatment may not only help prevent injury, but also optimize performance. Sydney Wide Chiropractic in Marrickville and Sans Souci is dedicated to helping athletes of all ages and sporting disciplines achieve the best they can from their sport. 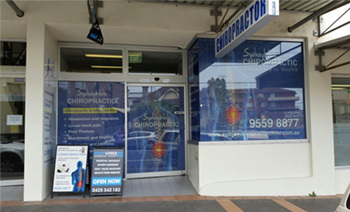 Call Sydney Wide Chiropractic Inner West on 02 9559 8877 for a second opinion today.